21 When there is doubt, don't throw it out. 23 Paper, Bottles, Cans, Plastic...recycle them all, it's Fantastic! 25 Once is not enough, recycle. 26 Think outside the trash...Recycle! 28 Just think before you bin it, there could be some use in it! 30 Just say no to Styro. 32 It's easy being green- Reduce, Reuse, Recycle. 34 I pity the fool who don't recycle. 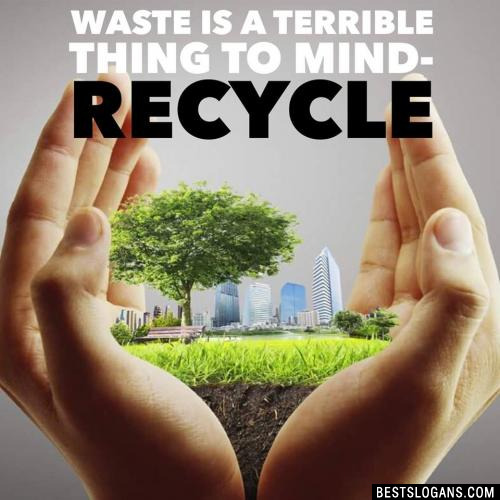 36 Recycle takes little effort on your part , for a big difference to our world. 39 Don't trash our future: Recycle. 40 Waste it once...pay for it twice! 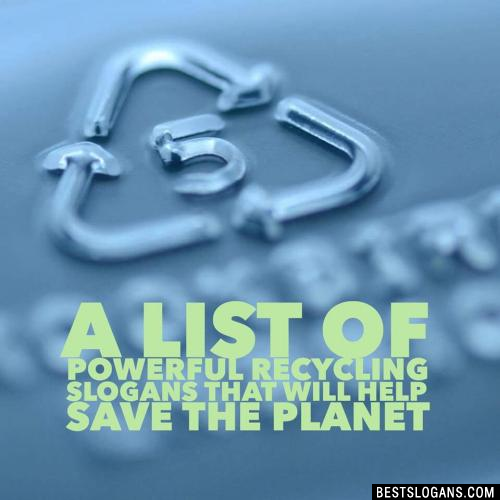 Can you think of a good Recycling Slogans we're missing? Or come up with a clever one of your own. Please share below.